Learn about hundreds of Thai dishes, combinations of ingredients, what to order (written in both English and Thai script), directions, and restaurant tips. 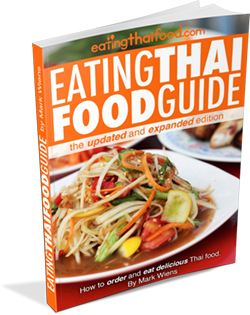 The Eating Thai Food Guide will give you the confidence to order and experience incredible Thai food! Knowing where to eat and how to order (in Thai) are the keys to finding vegetarian Thai food at its finest. 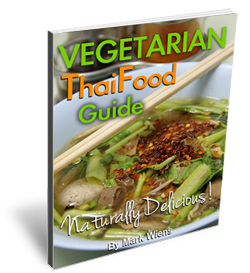 In the Vegetarian Thai Food Guide, I’ve shared the best vegetarian Thai dishes to try, how to order vegetarian friendly dishes at restaurants (including Thai script so you can show cooks), and some of my favorite vegetarian Thai restaurants in Bangkok. From eating through local floating markets to visiting Bangkok’s artist house, this guide walks you through 101 amazing things to do in Bangkok. 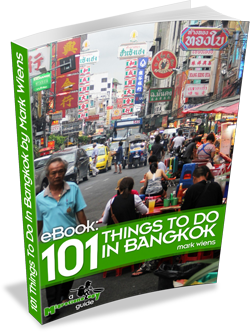 Along with attractions, you’ll also get some of my personal Bangkok travel tips like where to stay, how to get around, what to eat, and how to keep safe.